President Obama said it best, "It is on the parents of young men to teach them respect for women, and on grown men to set an example and be clear on what it means to be a man." Domestic Violence is not about men versus women, it's about right versus wrong. October is Domestic Violence Awareness Month and the season for greater enlightenment, discussions and implementing initiatives that will assist victims in transitioning from positions of peril to that of power. More than ever, it is imperative that men join women in the fight against domestic violence. In response to the horrific video showing former NFL superstar Ray Rice assaulting his fiancé, by punching her with a closed fist and knocking her unconscious, there has been a marked increase in discussions surrounding domestic violence. The NFL has made domestic violence education a priority, the NBA has indicated a desire to revisit their domestic violence policies, most networks have featured segments covering the topic and hundreds of articles have been written with domestic violence as its subject matter. Now, as the noise begins to quiet, the need for resources to help the victims of domestic violence continues to escalate. Domestic violence is prevalent in every demographic, consequently, a universal call for "zero tolereance" must be shouted in every community. It is an epidemic that cannot be cured without the help, understanding and support from men. In response to Ray Rice's conduct and the NFL's handling of the matter, many men including; James Brown, Jerry Rice, Steve Young, Michael Strahan, Chris carter and Ray Lewis, have courageously spoken out against domestic violence. All have condemned Ray Rice's conduct. Some have shared stories of domestic violence in their childhood and others have made impassioned pleas for men to become actively involved in the cause. Actor Victor Rivers recently stated, "A true macho, a real manly man is a man who joins the movement to end violence against women." He continued, "Most men are good men but we stand by silently when we know that our brothers, our uncles, our teammates, our co-workers are committing these acts of violence and it's really time for us to stand up and say this is unacceptable behavior." We must also encourage men to have a voice in this discussion because while the majority of domestic violence victims are women, every year in the U.S., about 3.2 million men are the victims of an assault by an intimate partner. According to the Bureau of Justice Statistics Crime Data Brief, men account for approximately 15% of the victims who report domestic violence. Many assaults are relatively minor although some end in homicide. I am in the trenches talking to victims, looking into their eyes, reading honest and painful emails, talking to politicians and sharing my story. 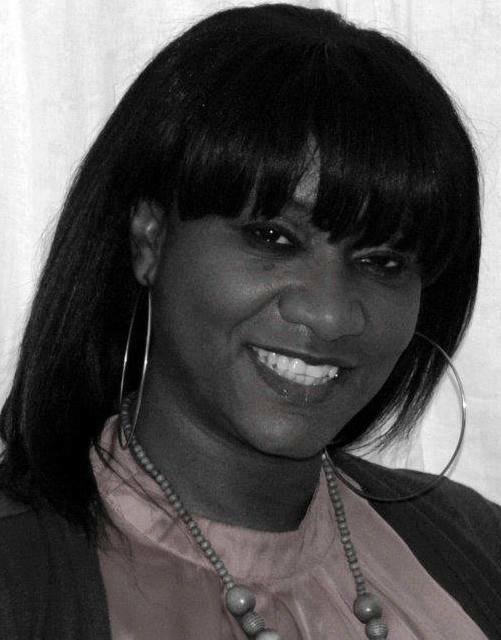 As an advocate and activist against domestic violence, my primary goal is to assist victims in their desired escape from a violent environment or give them tools to remain safe in that environment until they can leave or until the violence stops. I am very passionate in expressing the need to stiffen laws and implement penalties that deter perpetrators from repeated violent conduct , and also serve as a warning to all abusers. However, the harsh reality is that very often the victim does not leave for a myriad of reasons and therefore, it is vitally important to assist abusers/batterers in overcoming their violent conduct. Rehabilitation is not an absolute, however, it 's a possibility for the abuser who truly wants to change. Rehabilitation does not erase the pain and scars caused by domestic violence. Victims need long-term support and counseling. Still, rehabilitation does have the potential keep a family together and to break the cycle of domestic abuse. It's funny how I'd never consider myself an abuser but used it as a defense mechanism to keep from being abused. I come from a childhood of domestic violence. I've seen my mom and aunts beat by their partners and husbands. After growing up seeing black eyes, swollen lips, bruises on arms and legs, I vowed to myself never to let a man hit me. When I moved down South to be closer to my family after my married ended, I soon found out that domestic violence still existed in my family. Both my sisters were being abused by their children's fathers. Getting back into the dating scene was a challenge because in my eyes all men will abuse me if I didn't do as I was told. I didn't want to be my sisters. Instead of being abused, I became the abuser. I used hitting as a defense mechanism to keep from getting hit first. Anytime I had an argument or disagreement that got too heated I would strike the guy before he got mad enough to hit me. I went from slapping, kicking between the legs to hitting men over the head with bottles and baseball hats. Never once did any of those guys ever hit me back. My turning point came when I started working in emergency service as an EMT 16 years ago. After picking up so many patients who had been abused by the men in their lives and listening to their stories en route to the hospital, I began to realize what I thought was a defense mechanism for me was actually abuse. I started to feel bad for all the men I had abused. There is one guy that can't have kids today because I kneed him between the legs too many times. 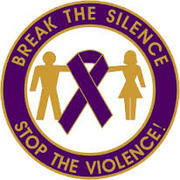 I began researching domestic violence and I showed a lot of the signs of an abuser. Controlling, wanting to know their every move, controlling their money and friendships, you name it, that was me. I knew in my heart that wasn't the person I was meant to be so did everything in my power not to let myself get so workup when things didn't go my way. If I felt as though I wanted to gain control of a situation, I walked away. I've hit walls and kicked cars but I would not allow myself to hit the person I was mad with. I read the Bible to find out what is expected of me as a woman and that helped me to change. I no longer feel the need to strike a man when I get upset nor do I allow a man to raise his voice at me when he gets mad. I no longer accept violence on any level from anyone. I became an advocate because I was the abuser and I've seen abuse, so who better than me to understand domestic violence. Special thanks to men behind Moguls & Mfg for speaking out and partnering with Domestic Violence Kills in the manufacturing the DVK tie. Proceeds therefrom are used to support domestic violence awareness initiatives. "Our business caters to men and we feel a responsibility to use our voices and resources to ask every man who visits our website or wears our neckties to take a stand against domestic violence," says El Ryan, Managing Director of Mogul & Mfg. For more information about DVK and its expanded mission to include resources for men seeking rehabilitation by providing expert counseling and therapy visit: Domestic Violence Kills Helpline.